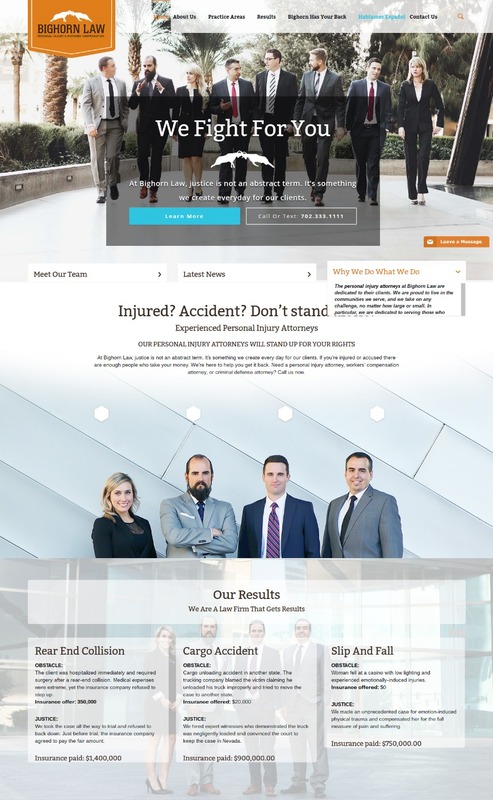 law office website design that attracts potential clients. Let’s face it, hiring an attorney isn’t a decision that most people take lightly. A modern law office website design will distinguish you from your competition and allow potential clients to learn more about you and your practice. First impressions matter. Potential clients evaluate the credibility and quality of a website in the first moments they arrive, just as they would if stepping foot inside your office. Is it a cluttered mess or is your waiting area clean, bright, & organized? Let the same be true about your law firm’s website. 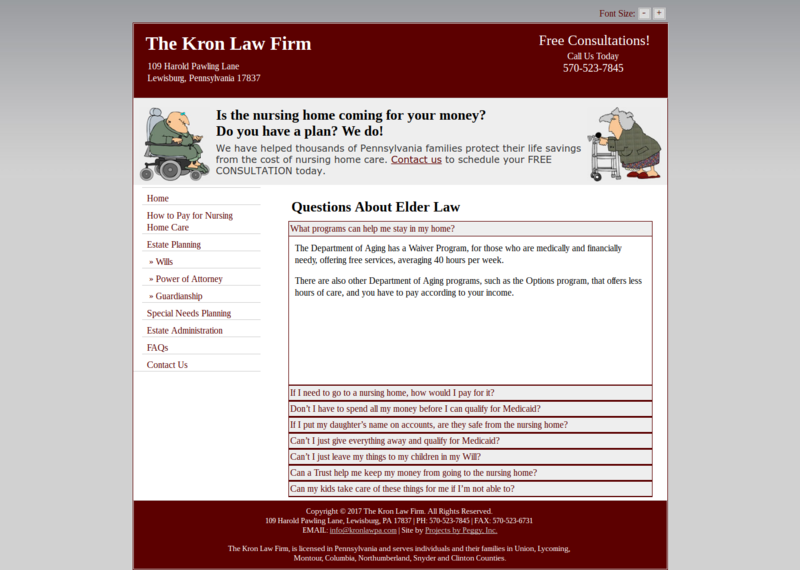 The Kron Law Firm website is a great example of one in need of a makeover. While there is a “contact us” form, I’m not sure who I am contacting. Who works at this firm? The cartoon illustrations also do not effectively represent the important work that this firm does, which is helping families make decisions for their elderly loved ones. Using cartoons & clipart on your website will also make your website look dated. Another downside to this website is that it is not mobile responsive. Large photos of the attorneys who work at this firm. An “About Us” section that is complete with all attorneys’ names, credentials, & a professional headshot. Call to action button with the option to send a text message, send an email, or make a phone call. Website content that speaks directly to the potential client. Resources that are easy to find, easy to read, & add value to the website for the potential client. A modern, clean design is just a click away. Contact us to learn more about how we can help you attract the clients you need. Ready for a new website design for your Law Office?